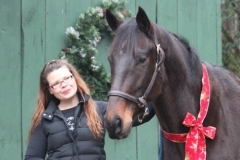 Popular Five was a Prospect Horse for sale directly from the race track when we brought him into Bits & Bytes Farm for Adrienne Symanowski to purchase. Popular Five was purchased by Adrienne Symanowski as a Prospect Horse. 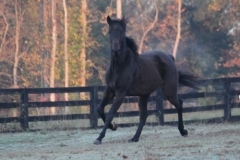 He began his new career off-the-track at Bits & Bytes Farm in Canton, GA.
Popular Five was a Prospect Horse for sale directly from the race track when we brought him into Bits & Bytes Farm for Adrienne Symanowski to purchase. See him at the track and when he first arrived at Bits & Bytes Farm.